he met a trainer by word of mouth, which just recently moved into the country from overseas. This gentleman's name was Hans Gunter Slebioda, a highly notable and accomplished trainer straight out of Luneburg, Germany. Hans had been training dogs in obedience, agility, tracking and guarding for for the German Military and Police for about 25 years. He was also the President, Club Master and City Master for Schutzhund in Luneburg and had the trophies to back it up. What set him apart from the others was that even though his foundation and background was Schutzhund, his focus was mainly on making the dog a capable adversary on the street or in the home, NOT on the field! He added realism to his training scenarios, techniques that could be used in the real world for real situations, especially in this day and age with all the violence and terrorism. This made sense to Stan, and immediatly started training his dogs under Hans. Hans took both Hercules and Zeus through his vigorous course and certified them both as "Real World Protection Trained". He also found that Stan was really into training and had an uncanny ability to train dogs, that reminded Hans of himself when he was younger, so with this he took Stan under his guidance and gave Stan all his knowledge and trained and certified him to be an instructor for his second training facility he was going to open on the other side of the city. Unfortuatley, Hans fell to his untimely demise, and his widow gave everything to Stan and told him to continue in the legacy Hans left with him, and so as they say the rest is history. >Since then Stan has been to various seminars on this subject as well as trained numerous dogs to the phase one level and some are now on the phase 2 level. >Stan also has quite the active members list and has an extensive list of new clients that seem to keep rising at an incredible rate. 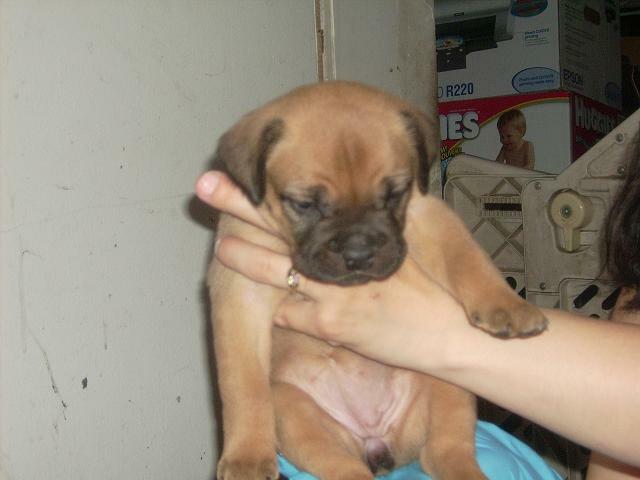 >Stan, along with his wife Tammy also breeds and sells his own line of protection dogs. Around 12 years ago he acquired a rare exotic Italian breed from the old Roman Gladiator times called "Cane Corso" which he wants to introduce as the new "Ultimate Guard Dog of the 21st Century". Although first being introduced to this rare breed in 1996, it wasn't until 1 year later Stan started to train the Corso. After having a few Corsi from various kennels around Canada, U.S. and Italy train at Ultimate K-9, he knew this was the breed for them. 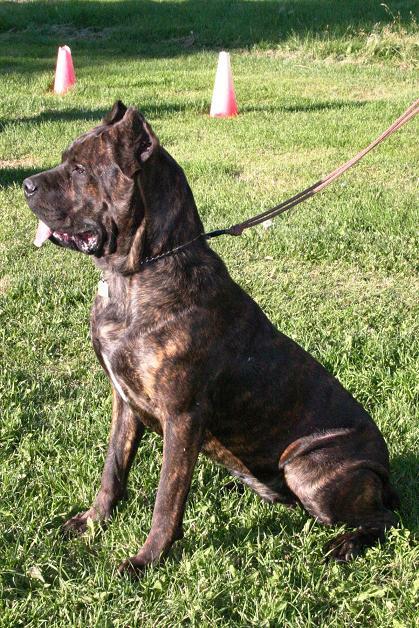 Stan's "Ultimate Strykker" came out of Rustic Kennels in Ontario in early 2003, a leading edge breeder with many old world Cane Corso champions. Stan also had a 9 year old female Cane Corso by the name of "Big Mama Maya" (now deceased) out of Brutus Kennels in Ontario, a 10 year old female Cane Corso Dam named Vika out of long time breeder of champion Cane Corso, Borealis Kennels in New York USA, a 7 year old female Corso out of Stano's Ultimate Kennels named Raven, a 6 year old male Corso out of Big Taurus/Rustic Kennels in Ontario named Furious, a 23 month old female Corso out of Stano's Ultimate named MissT. Buttercup(now deceased), a 4 year old male Corso out of Stano's Ultimate named Rogue, a 3 year old female out of Stano's Ultimate named Willow, also Daisy a 10 pound MinPin/Chiahuahua cross who runs the roost, a tea cup male Chiahuaha appropriately named Tenacious Tito, who is merely 4 pounds. Most recently Stan and family have aquired a 4 month old Belgian Malinois from Holland in the Netherlands. 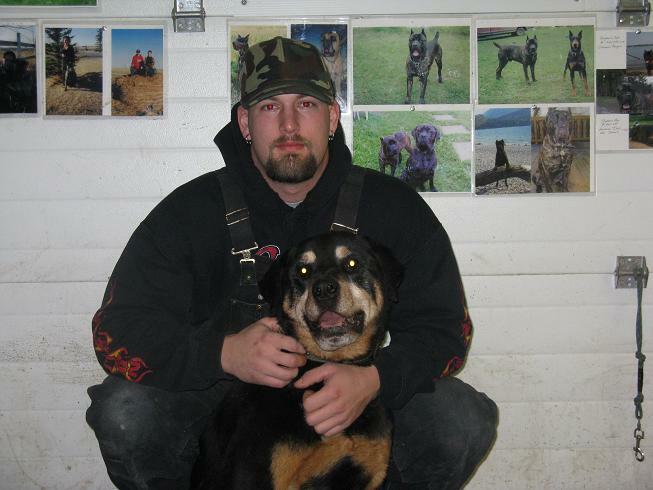 His name is Reno and came via world reknowned working dog trainer Antonio Pallotta at Working K-9 in Beeton, Ontario. >Stan and Tammy have been breeding Cane Corsi for 8 years now. He breeds for the larger old "Rustic" looking specimans(the ones that were found in Italy back in the day), with a harder temperment suited for working purposes. He believes this breed should preserve the working qualities it was meant for, guardian of the home and property, working livestock, and personal bodyguards to their owners and family! 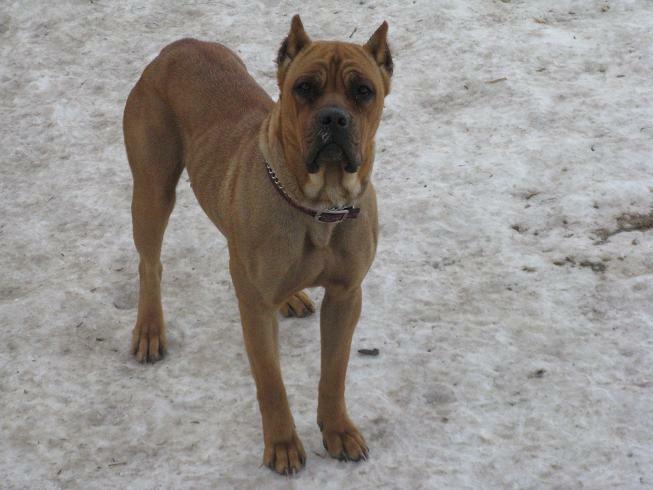 >Stan was heavily involved with the Cane Corso Mastiff Club of Canada, until it's demise in the summer of 2006. He was the Vice President and Regional Director for Western Canada, of this organization. This was the sister club to the C.I.C.O. club of Italy, and made many discussions with its then Vice President, Massimo Maschio and President and most notable figure in the Cane Corso World, Dr. Paolo Breber who is credited for the recovery of the breed in the mid to late 70's. MEET THE FIRST FAMILY OF ULTIMATE K-9!!! 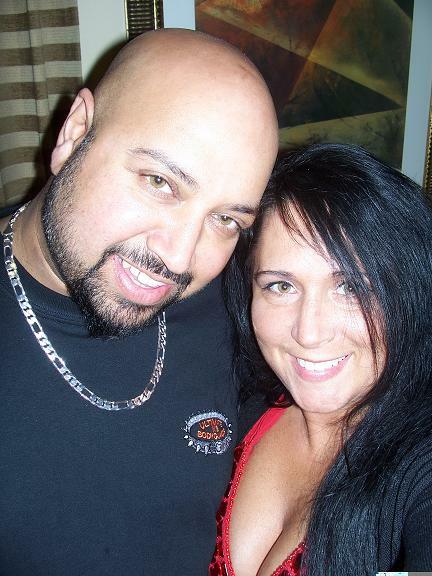 Myself and my beautiful wife Tammy, who is a very integral part of UK-9BG, as she handles all the paperwork and is the director of Stano's Ultimate breeding program. With out her, there would be no Ultimate "pups"!! Thank you for the awesome and endless job!! 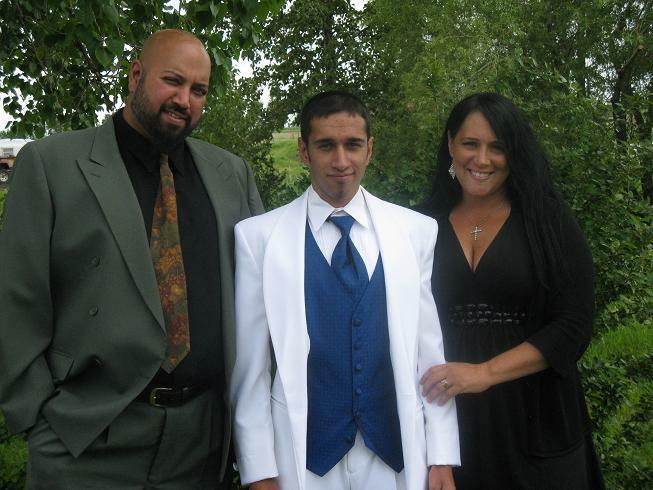 Myself, my wife Tammy and our eldest son Arek (18) at his high school graduation in June of 2008. Arek also plays a vital role in UK-9BG, as he handles and feeds all the big dogs, as well helps out with the puppies. 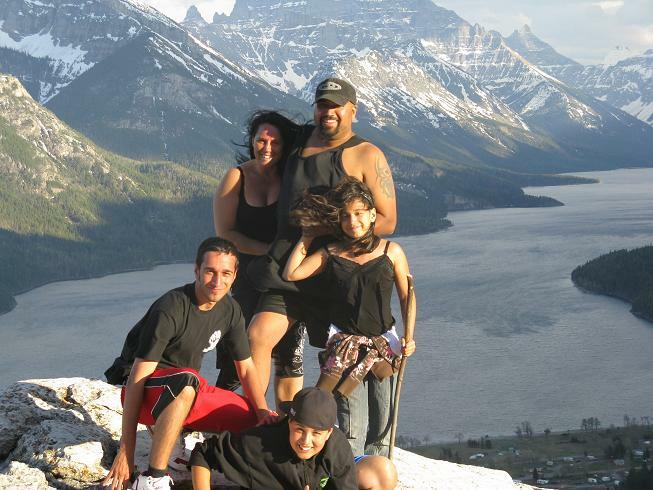 Myself, my wife Tammy and our 3 children, Arek (18), Shon (14), and our daughter Aleksa (11) on top of the world at Bear's Hump in the beautiful picturesque Wateron National Park in May of 2008. Shon is my 14 yr old genius and webmaster for this site, as well as takes awesome photos of the dogs. Aleksa also plays a role with puppy rearing and socialization with the Ultimate K-9 pups and dogs. Pictured here as a baby, 21 months and just over 2 years old. Please look to our breeds page 2 for more details about Miss T.
Pictured here at 2 years old during Obedience/Agility training. We sold El Tigra on a co-ownership with Tammy's sister Dori, and husband, Ron Meeres back in early 2005. Tigra had passed suddenly on August 08, 2009. The cause of the death has been determined as Gastric Torsion or otherwise known as bloat. Tigra was a few months shy of her 5th birthday. She was from our very first litter of Strykker x Vika, which also produced our RaeRae, Fila, Maximus, Goliath, Viper and a few others. Tigra also whelped a litter a few years ago, and we kept MissT. and the Meeres family kept Boo, out of that to keep her blood going. She was an all around awesome dog, who was loved very much by her four young human kids and will be greatly missed by all. Pictured here at 11 years old, the day before his passing with his owner Kelly R. and long time good friend of Stano, as well as one of UK-9BG's original tough decoy/agitator's. Rock was one of the first dogs thru our program way back, almost 12 years ago. Known for his "rock" solid bite, loyalty and independant nature, he was labelled as the hardest hitting dog, for many years. Without a doubt, the best Rottweiler to ever walk thru our doors, his memories left behind will never be forgotten!! A true K-9 soldier, and 3rd member of the original bad boy pack along with UK-9BG's own Zeus and Hercules, they will be once again re-united and most likely be the guardians at the Rainbow's Bridge. Have a peaceful journey my friend. 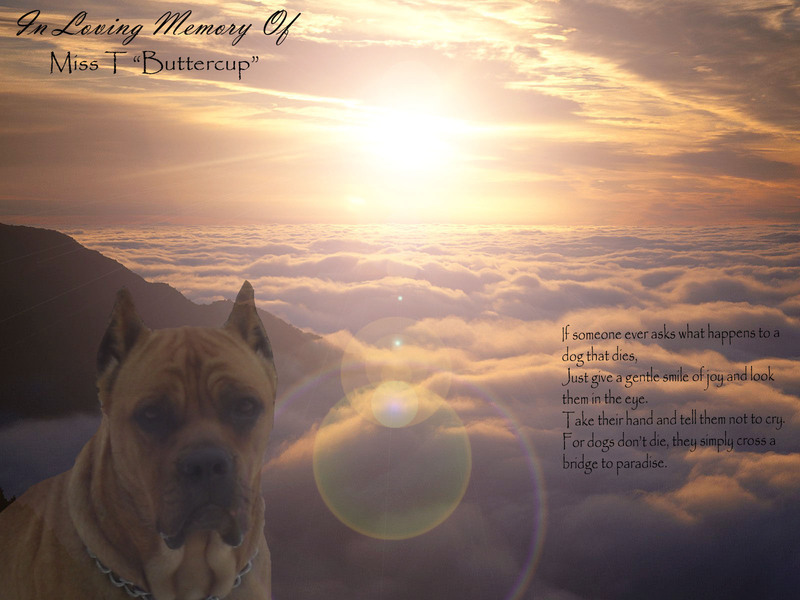 February 2005- Dobie "Pyscho Zeus"
October 2005- Dobie "King Hercules"
August 2009 - Corso "Stano's Ultimate El Tigra"
October 2009 - Corso "Stano's Ultimate Miss T. Buttercup"
THANKS FOR THE WONDERFUL MEMORIES, SEE YOU ALL AGAIN AT THE RAINBOWS BRIDGE!